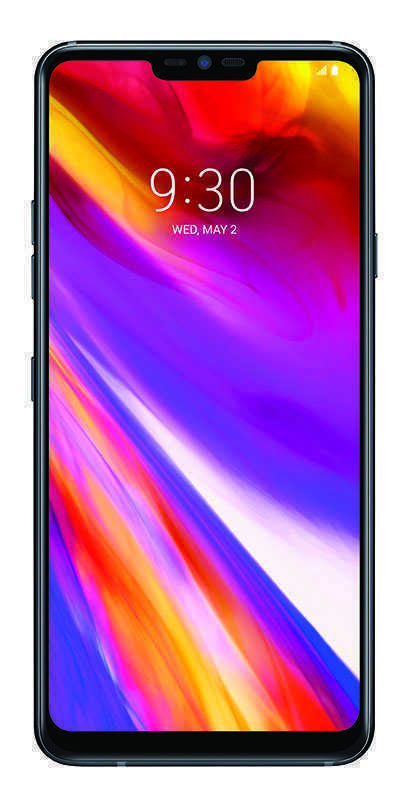 The LG G7 Thinq is a welcome new flagship from Korean electronics company LG, long known for its fun and original cellphone innovations. LG G5's Friends were a great example, accessories that bumped up your phone's camera and sound capabilities. There are no such gadgets for the LG G7 ThinQ - just a good, solid phone that is great just as it is. LG may have abandoned the G5’s modular design and they ditched the G6’s 18:9 aspect ratio display for the G7, but it’s hung onto the most interesting feature of its recent G- and V-Series handsets: the wide-angle secondary camera on the rear. While most other major manufacturers have used a second camera for a telephoto setup, LG’s decision to buck the trend and go wide is welcome, and opens up some great creative possibilities only otherwise possible with third-party clip-on lenses and the like. It’s a great tool for squeezing in big dinner groups or upping your Instagram game. Another key feature LG’s included is its AI Cam that assesses scenes and adjusts settings automatically - this clever camera knows just what you're shooting. In our tests, it proved dependable at identifying people or food, for example, and adjusting settings and filters accordingly. Much more interesting is the dedicated Google Assistant button beneath the volume rocker that’ll let you activate Google’s digital helper, or open Google Lens with a double press to provide information about the things around you. Using twin cameras to simulate the out-of-focus background beloved by portrait photographers with high-end gear is now standard for any flagship handset, and the G7 does a particularly good job of combining its camera hardware with software trickery to achieve the effect. Last year, LG missed getting Qualcomm’s then-latest processor into the G6. This year there’s no such oversight. The Snapdragon 845 is present, accounted for and suitably potent. With 4GB of RAM supporting it only the most intensive games should test its mettle. The battery is a solid 3000mAh, and the version we have has 64GB of memory - but there is a microSD card slot, so that can be expanded by up to a whopping 2TB. There's a 1440 x 3120 pixel display, that's adjustable so you can save battery life by compromising on screen crispness. It offers a 19.5:9 aspect ratio (for ~564ppi pixel density) and the QHD+ FullVision display promises super-bright colours. Like so many rival handsets today, the G7 has a notch at the top of the display. You can easily hide the notch by setting the phone to have a black bar across the top of the screen, or celebrate it with a colourful bar. Much more important to most is the feel of a phone in the hand, and this is suitably high end. LG also promises impressive sound from the built-in Boombox Speaker - it claims its speakers are 10 times louder than the competition, with extra bass for even more oomph. Plus, the phone comes with a headphone jack - not a given these days. It currently runs on Android 8.0 Oreo, but is ready and waiting for 9.0 as soon as it's released. Overall, the LG G7 ThinQ is a welcome addition to LG’s line-up that should please the company's loyal fans, and gain it a good few new ones. 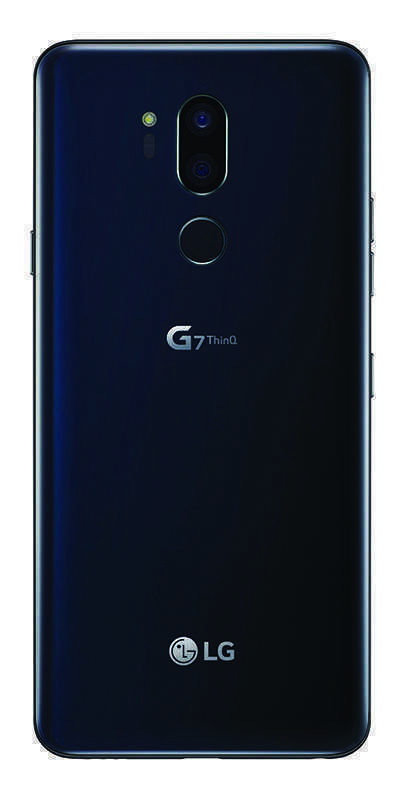 Order the LG G7 ThinQ from Vodacom Online. In the box is a wireless charging plate and a LG Tone Series Wireless Bluetooth headset - both awesome accessories.